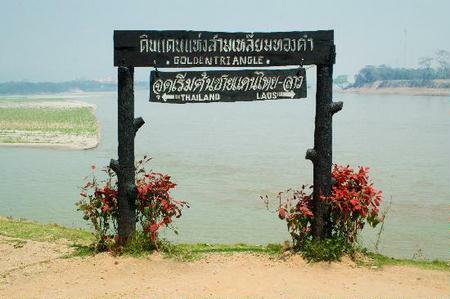 The term \”Golden Triangle\” in connection with opium and a part of the South-East Asia at the first time was used in 1971 by the Assistant Secretary of State Marshall Green. 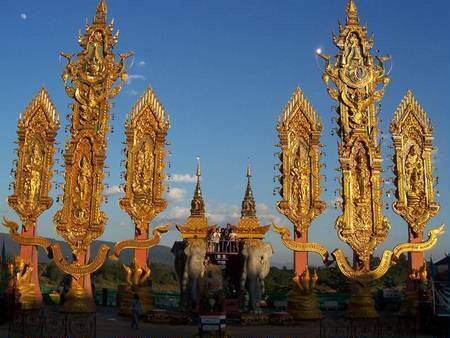 Since then, the name refers to the far away area of ​​several hundred square kilometers which includes the territory of Northern Thailand, Central and Northern Laos and Northern and Eastern Myanmar (Burma). 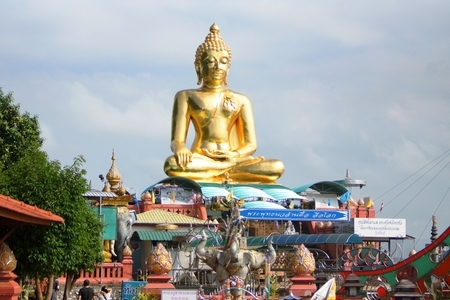 Sometimes a part of Vietnam and Southern China are also referred to the Golden Triangle…. The territory of the triangle is a profitable route for drug trafficking. Centuries ago, Arab traders brought opium to Southeast Asia. A good while, opium was not a trouble and above all was used as an effective remedy. Opium poppy cultivation began here in the 18th century and expanded at the turn of 19-20 centuries when due to turmoil ethnic tribes migrated from southern China to the mountainous areas of present-day Thailand, Myanmar and Laos. The opium trade has expanded in just a few years after World War II, when in the Shan State of Burma military units of the Kuomintang were occupied, which prompted the creation of the world\’s largest producer of opium or so-called Golden Triangle. 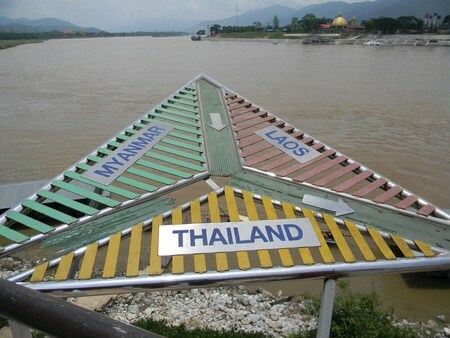 Its informal center was considered the confluence of two rivers – the Mekong and Ruak on the border of Thailand, Myanmar and Laos. Opium poppy is grown mainly by mountain people (Hmong, Lahu, Lisu, Aha, Yao, Karen, etc.). Often it takes place in far away and inaccessible areas that complicates both the detection and elimination, and the alternatives for regional development. For hundreds of local families opium is the only source of income that enables them to survive on the unfertile soil. But those who grow opium are not those who are getting rich from selling it. People growing opium poppies must give a large part of their income in the form of a \”tax\” to the armed forces controlling the area or in the form of interest on a debt, taken before the start of the season. There are no big cultivators; the average acreage per one family is about 0.2 ha. Yield depends on area and weather. The average yield of opium in Laos is 6-8 kg/ha, in Thailand and Myanmar – 14-16 kg/ha, on the lower elevations of Myanmar with the possibility of irrigation – sometimes more than 20 kg/ha (compared with Afghanistan, where the yield reaches more than 40 kg/ha, it is still very low number.) About 10 kg of raw opium is necessary for the production of high quality heroin. Today, opium production is located on the Thai side – it is almost a history (with some exceptions) which is told by Opium Museum in Sop Ruak and the exhibition Hall of Opium to the hordes of tourists. Laos also significantly reduced the crop. In 2006, it was said (not quite truthfully) that opium cultivation on Laos’s territory was eliminated. However, neighboring Myanmar continues the production despite the best efforts of repressive forces and development agencies. From the very beginning, Burma, i.e. Myanmar has been the main \”prime mover\” in the production of opium and refined heroin in the Golden Triangle, and at one time was the number one world producer (until 1991, when Afghanistan overtook). The loss of superiority took place due to the highly unstable political situation and limited or non-existent control of the ruling military junta at a large territory of the country (especially in the states of Shan, Kachin and the border territories of Kokang and Wa), where even today fighting between the government and various rebel groups and ethnic armies take place. Drug trafficking is a major source of income for all parties to the conflict. Another issue is the involvement of high-ranking military and civilian leaders of this country into drug trafficking. Conflicts often occur just because they want to control profitable territories. Since the late 90s of the last century Myanmar managed to reduce production for a while, but 2006 was a turning point. Since then the production has been increasing. But even now Myanmar does not reach the volumes of production of 1991 and earlier. Khun Sa, commander of the Shan United Army, which since the late 70\’s till 1996 was controlling the main production in Burma. Perhaps, he is the most well-known person in the opium trade. The creation of an independent Shan State was his priority. For him opium trade was a necessary evil. He was also famous for the fact that he had repeatedly offered to U.S. and Australia government (the main consumers of Burmese heroin) to buy the entire crop to ensure it would not hit the market and would be eliminated. But the American and Australian authorities have done nothing. As a result of constant pressure (for example, the U.S. Department of Drug Enforcement promised for his extradition $3 million) in 1996 Khun Sa surrendered to the Burmese authorities because he did not want facing the music from the U.S. authorities for the international drug trade. The last 11 years of life he spent in the neighborhood of Rangoon as a legitimate businessman. In Thailand, opium production reached its peak in the 70s. Opium poppy was cultivated on the territory of more than 24,000 hectares with a crop of more than 300 tons. Around the same time, the Thai government with the support of international organizations has launched a series of long-term programs which have contributed to a gradual decline and eventually eradicated opium poppy cultivation in the country. This success was mainly accompanied by political stability, rapid economic development of the country and timely and repressive eradication campaign. Successful campaigns of alternative means of living and directly support for opium poppy cultivators have been established. Rehabilitation centers for drug addicts also have been created and all that was supported by a relatively well-developed transport infrastructure. There were serious mistakes, such as violent campaign in 2003 as a result of which just during a few months about 3,000 people were detained often without trial, mostly small traders and drug addicts. But even despite this today Thailand is the most successful in the fight against the opium production and often serves as an example for other countries-producers. However, nothing changes the fact that Thailand remains one of the major centers of trade and smuggling. The nineties of the last century have witnessed a reduction in opium production in the Golden Triangle. It was associated with increased repressions. But soon, a new and more dangerous phenomenon has appeared – amphetamine-type stimulant, i.e. methamphetamine (meth). These drugs in the form of tablets and crystals captured the area. This is a classic example of when an attempt to suppress one drug leads to an increase in the production and use of other drugs. Another common phenomenon was observed in East Asia, where cultivation and production of drugs under the influence of repressive measures moved to other neighboring regions. In recent years heroin comes to the Western market mainly from Afghanistan, in a lesser degree from Latin America. The Asian market, especially China, demands opium from the Golden Triangle. The decline in production over the past ten years has led to a huge increase in purchase prices for opium, which along with poverty and lack of ongoing support and economic alternatives for poor farmers has led to a change in the trend. Farmers, who have stopped growing opium, had to come back to this in order to survive. They began to use the new technologies that make it difficult to detect and eliminate, for example, the cultivation of opium among other crops or multiphase growing when planting and harvesting is carried out several times per year and not in the main season. Myanmar remains the second largest opium producer after Afghanistan. It is clear that while the situation in the Golden Triangle is unstable and local people do not get an alternative for living from the local authorities and international organizations the idea of ​​the South-East Asia without drugs will remain a sacred desire of fanatics.